Developmental Program For Accelerated Substitute to Foreclosure | The Law Office of Emil Fleysher, P.A. Developmental Program For Accelerated Substitute to Foreclosure | The Law Office of Emil Fleysher, P.A. A new program is being tested to expedite foreclosures that are being held back by bankruptcies. 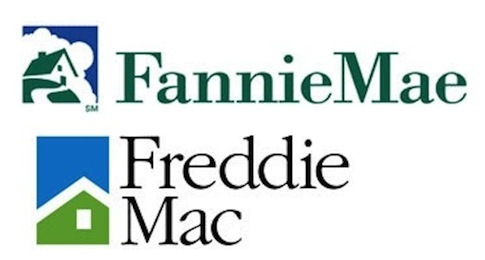 The U.S. bankruptcy trustees have initiated a developmental program that could drastically quicken the sale process of home by Fannie Mae, Freddie Mac and other major lenders. Instead of allowing properties to sit on the sidelines while the bankruptcy process plays out, the program would cut years off the sale of said properties and received compensation from sold properties to repay unsecured lenders. The concept is to keep the property is bankruptcy court and to sell it from there. The state court would take weeks instead of months to short sale a property and compensate unsecure lenders. During the recession, when most mortgages were well underwater and the home values hit rock bottom, borrowers began looking for a new start and financial freedom which caused bankruptcy filings to grow rapidly. Many of the bankruptcies, especially personal Chapter 7 bankruptcies, are filed the day before the bank forecloses on the property. This is a strategic move that prevents the bank or plaintiff from reclaiming the property while the legal process unfolds. The tactic is costing lenders, who are already dealing with missing loan payments, even more money because their attorneys now have to file for a relief of the bankruptcy automatic stay in order to keep the ball rolling and move the case to state court so they can complete the foreclosure. Lawyers have created a new business due to the increase of foreclosures. They are looking to delay the foreclosure process on behalf of the borrower for as long as possible and then file for bankruptcy once that deferment is inevitable. The program would put a stop to this by preventing the homeowner from staying in the property for years or the second owner from collecting the rent without providing payments to their lender for the mortgage. One attorney stated that this is an idea that should have been implemented years ago as it would assist the economy is Florida by providing more real estate to a hungry market. By clearing up all title issue, resolve them of all liens and tax liabilities, the properties would be able to be put up for short sale a lot faster. In the end the trustees are looking to attain the most amount of money possible for the unsecured lenders.